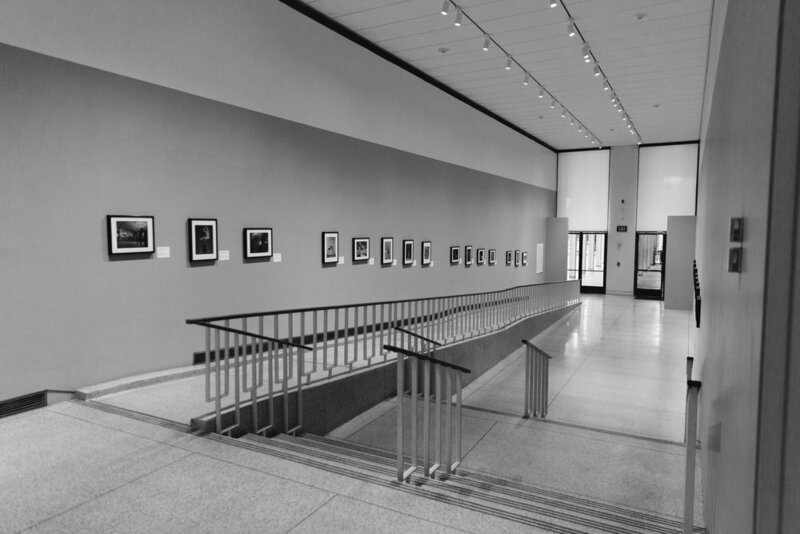 Walking the galleries of the San Diego Museum of Art, I was reminded of my college days. I thought I was so old and mature then, like my 20 years of life had made me wise enough to experience and understand the depths the artists took to create their masterpieces. I connected to the pieces. I wanted to be an artist. Young college students perused the halls, some in pairs, some took notes, all with the vibrant and hopeful glow of youth. Probably on assignment for an introductory drawing, painting, design or photography class to critique several pieces, I felt a bit nostalgic thinking back to those days – painting in my garage, long nights in my drawing class, experimenting with color in design, meticulously cutting wood and paper for 3-d design class. I should’ve continued in my art degree, I thought. I want Essie to choose whatever course makes her happiest, whatever makes her feel alive and excited and fuels a passion in her. Some nights I teach her to draw. We talk about which colors to combine to make other colors. Right now she is coloring a big cat in her coloring book with colored pencils (purple eyes and a gold body) and singing and looking out the window as we fly to New York. I want to breed a sense of curiosity and wonder in her – to explore the world, to teach her mathematics and logic and history and philosophy while feeding the creative and expressive side of her as well. Whatever path she takes, I want to feel that I’ve done my best to pass on all my passions and talents to her and to leave her future up to her choice. Funny how a stroll through a museum can trigger these thoughts. “Are you guys doing the scavenger hunt?” An attendant politely asked us. “Can I give you a hint?” she said. “You’re going to find that half of this exhibit is Korea and the other half is Japan, she said as she led us from …. Back to the East Asia exhibit. I was clearly lost since I wasn’t using the helpful map on the back of the scavenger hunt as was suggested. Essie wanted to finish the scavenger hunt as fast as possible, like it was a race. What a brilliant way to keep young kids engaged at the gallery. The assignment was to find certain animals in the East Asia gallery. There were hints and map and questions that triggered their imagination. Questions along the lines of “How do you think the artist was able to get the colors on the camel?” What do you think the cat will do next?” Essie was eager to find the next animal and answer the question so she could hand in the completed scavenger hunt for a prize. We strolled through the halls into the American Art exhibit. “That looks weird!” Essie said as she saw a painting of a duck that had recently been killed hunting. She pretended to be scared by the painting of a skull and she was fascinated by the sculpture of two horses that was made out of found metal – one lying on the floor, one standing above looking down on the other. “is it dead?” She asked. Like any good piece, it left us to interpret. We made our way to the “Motion Pictures” exhibit by Gjon Mill and I lifted Essie to get a better view. The black and white photos filled the long hall and Essie and Stacy were drawn to the graceful images of dancers frozen in midair as they transitioned from one movement to the next. In the Visible Vaults room, Essie found some scratch paper and practiced her own drawing and writing as Stacy helped her. There were drawers to explore and comfortable chairs to sit in. A bright, clean room contrasted the moodier and dimly lit exhibits we had visited. I spent some moments in front of a piece by my favorite artist – Salvador Dali. My first tattoo was an interpretation of St. John of the Cross by Dali. I was 18 when I discovered the work of the surrealist. In college, his works decorated my room and still, a variety of books about him decorate my book shelf. I consider him the greatest and most influential surrealist. His paintings, sometimes 8 to 10 feet tall tower above you with the ethereal image of Jesus on the cross looking down on you. A master of perspective, you feel like you’re part of the image. A true surreal experience. We finished our tour by handing in the scavenger hunt. The attendant praised Essie for finishing the hunt and for being so well behaved and led her the old style candy dispenser. She got her prize (not candy) and we thanked our hosts for the day. We planned on eating at Panama 66, the restaurant adjacent to the museum with outdoor seating, but it was unfortunately closed because of rain. Essie loves to play in the sculpture garden. It’s perfect for families. Good food, craft beer and cocktails and space for the youngsters to explore. We will definitely be back for dinner.